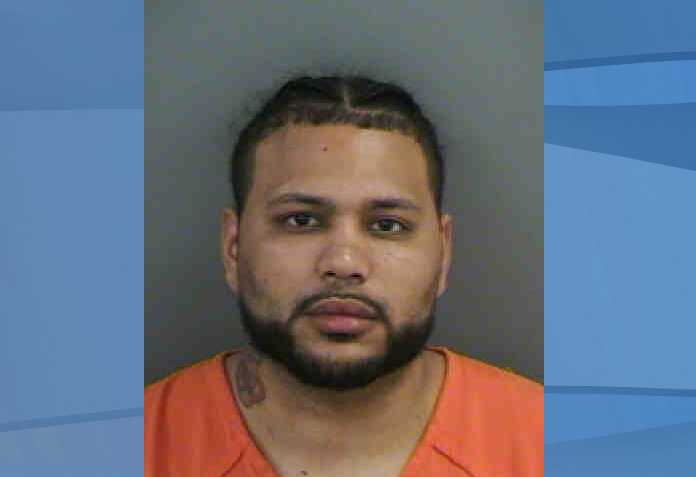 A man wanted for murder in Erie County, New York was arrested in North Naples Tuesday by Collier County Sheriff’s Office. Investigators tracked down Edwin Vazquez nearly 1,400 miles away from New York and arrested him on an active warrant for homicide. According to the arrest report, Vazquez worked at the Circle K gas station at 13550 Tamiami Trail North, and his coworkers say he moved from New York about six months ago. Coworkers say Vazquez has worked at that Circle K up until two weeks ago when management transferred him to another gas station. Now, residents are worried this 26-year-old wasn’t behind bars, he was behind a cash register at a local gas station, ringing out unsuspecting people everyday. “This guy does not even, he should not even be on the street if he killed someone. That’s not right at all,” said Naples resident Thomas Clute. The biggest question on resident’s mind is how was the accused murderer with law enforcement after him able to get and hold a job? Coworkers say they are absolutely shocked and had no idea someone they worked with was wanted for murder. WINK News reached out to Circle K for comment on the hiring process, but haven’t heard back. Many employees say they walked in to hand in their resume and was offered a job the next day. WINK News also reached out to Erie County to find out more about the homicide, but haven’t heard back.